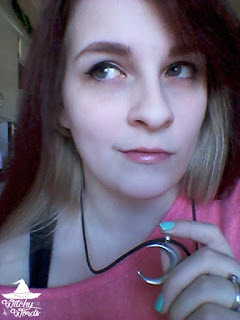 Typically I tackle personal goals last as kind of a cache for anything I'm missing. This year however, I have a few goals falling into a "personal" category that I certainly need to tackle. 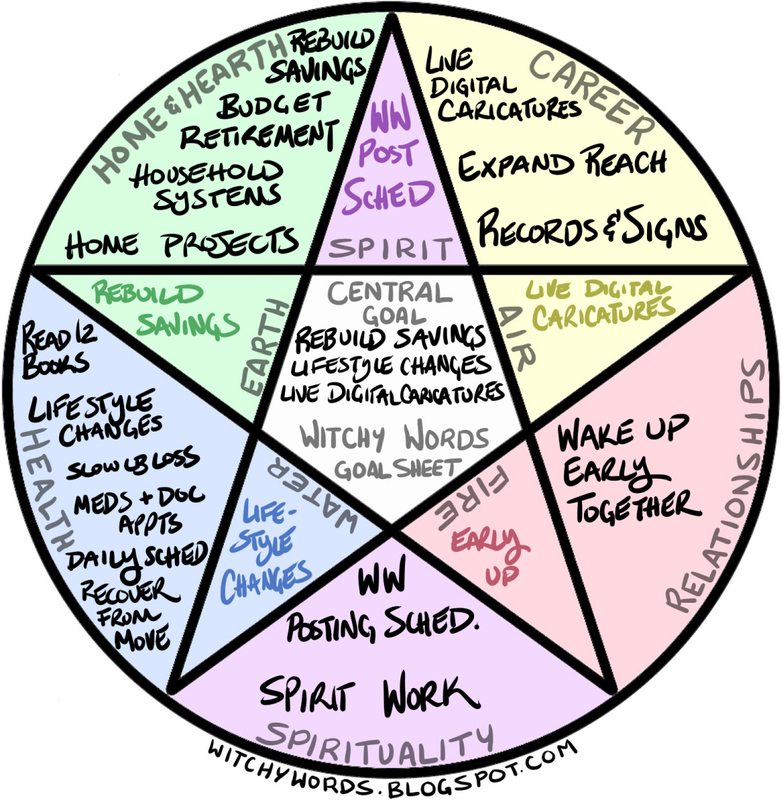 While there's no "personal" section on the pentacle chart, I have a few goals that certainly apply to this area. Instead of having a monthly goal, this one pulls from other sections to create a checklist I mark at the end of the year. 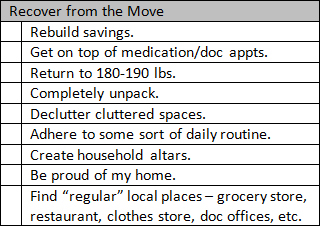 These are goals that I feel I need to accomplish to "erase" the damages of the move. Some of these have step-by-step progress I need to make monthly in other goal areas and some of these are more subjective. 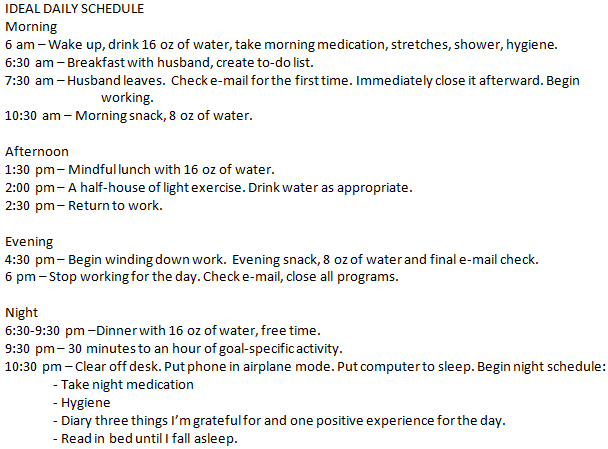 Either way, If I could even check part of this list off, I'd finally feel a bit more stable in life. Here it finally is. You've seen it in both the Health and Knowledge section, but I believe this goal will help me out personally with the added bonuses of knowledge and health in the long run. That's why I decided to put this here. 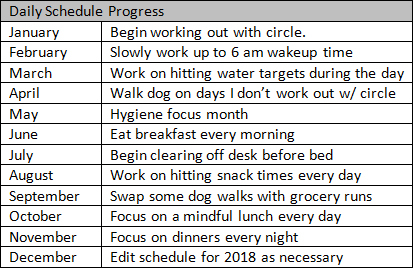 I have two parts to this: An outline of an ideal daily schedule I'd like to adhere to and then a month-by-month goal list to slowly get me there. I'm aware that changing my day isn't going to happen overnight, especially after years of disruption, but I believe it's fully attainable if I can get one stable year. If I want to start exercising with the circle, we need to get it figured out this month. Otherwise, I need to start doing some mild work on my own. Next month, I'll be focusing on getting up at a decent time. Then comes water targets, dog walks and hygiene. Each month, I get a little closer to creating a stable daily schedule by making small tasks habit. And hopefully, given that we won't have to move this year, this will actually work out. Personal Goals - 0% Complete for the month. What are your personal goals for 2017?